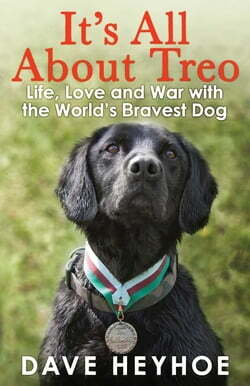 This is the incredible true story of the unbreakable bond forged between Treo, the world's most highly decorated dog, and his handler Sgt. Dave Heyhoe, whilst doing the most dangerous job on earth - sniffing out bombs in Afghanistan. Dave, known to his fellow soldiers as 'the Dog Whisperer' and Treo... read more were sent forwards, alone and unprotected, to detect the Taliban's murderous IEDs. Soon soldiers refused to patrol certain areas unless accompanied by Treo, and the pressure on the duo became ever more intense. Dave and Treo would realise they needed each other more than they could have ever imagined. It is a story full of tragedy and triumph, pathos and laughter, as one man and his best friend dare all to ensure that no lives are lost.